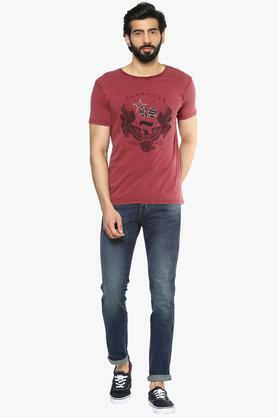 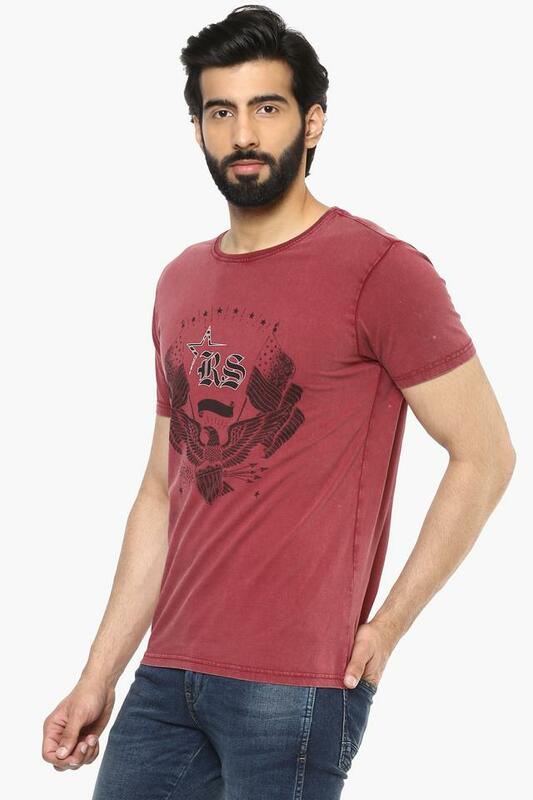 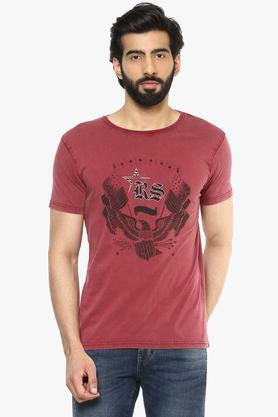 Revamp your wardrobe collection by adding this trendy T-Shirt from RS by Rocky Star. Featuring a printed pattern, which together with the round neck will let you fetch a lot of compliments. Moreover, it has short sleeves that add to the design. 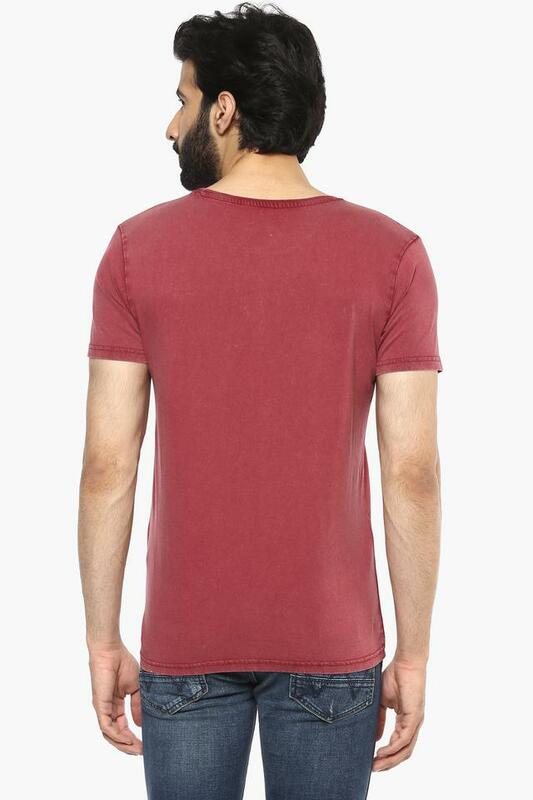 In addition, it is comfortable to wear, as it has been crafted from a fine quality fabric. The printed pattern is always fun and this trendy T-Shirt will surely make you look smart. Designed to perfection, it can be worn on several occasions to flaunt a stylish look.